FUT, FIFA's most popular mode, is turning ten -- and we're getting a big blowout to mark the occassion. 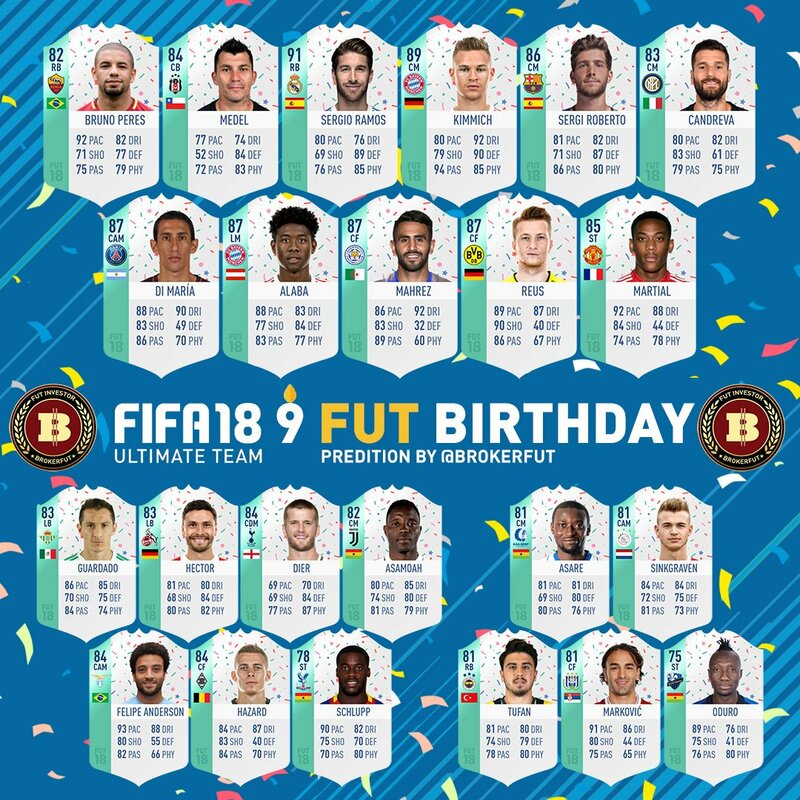 Starting 22 March, the now-annual "what-if" squad highlighting position changes, former positions played, and out-of-club-position players who play those in-real-life for their respective national teams will hit the game in the form of 21 packable FUT Birthday special items. For those of you who have played previous editions of FIFA, you will know just how incredible the FUT Birthday event can be. However, for those of you who are new or simply unsure of what to expect, this is the guide for you! In this we will be looking at what exactly we can be expecting, why this event is so exciting, and how we can plan ahead to ensure we get the most enjoyment possible from this feature! FUT Birthday is an event that celebrates the creation and life of FIFA Ultimate Team. Each year we take part in the celebrations, and with this year being the 10th we can expect something big! During this period, EA usually releases a FUT Birthday squad into packs, full of big upgrades, position change players and throwback memories. Alongside this we often see a collection of SBC’s that reward players with a premium FUT Birthday card as well. As mentioned above, we are likely to see a 23 man squad which is released into packs. Last year the squad was made up of position change players, giving FUT players the opportunity to create new and fresh teams within Ultimate Team. Previously we have also seen big upgrades, throwback memories and a funky new card design as well! FUT Birthday usually offers big names available through SBC’s as well. Like with most challenges, these are available for a limited period of time, and can be obtained by completing every part of the SBC. Requirements around these usually relate to the players past/present clubs, nationality and leagues. With the way FUT has been run this year, we can also expect to see a range of players obtainable through weekly rewards. These challenges usually have specific requirements relating to the card in question, and can be obtained by simply completing the challenge within the given time frame. For the purpose of our predictions, we have focused solely on position change players. Now EA may choose to go down this route again, include a mixture, or just upgrade players stats in their normal position. These predictions are based off nothing but guesswork, as we have absolutely no way of accurately guessing who will be included. What we do know though, is that some of these players would make for an absolutely incredible event! You can probably expect a few more twists and turns (expect the unexpected; etc. 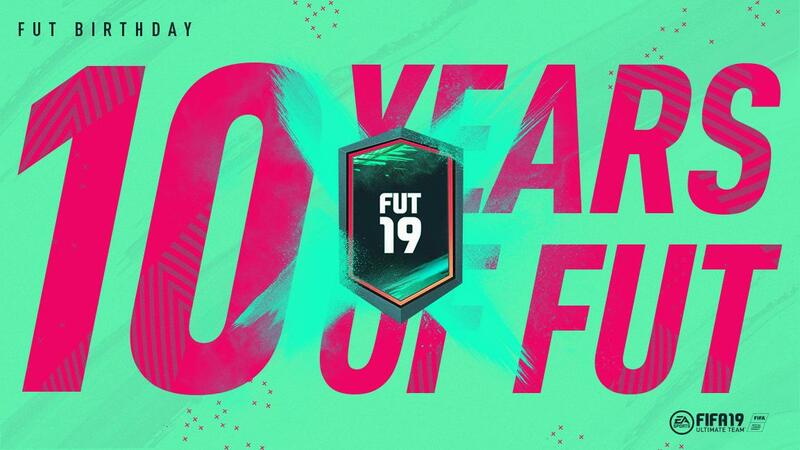 ), so definitely stay tuned to Futhead throughout the FUT Birthday extravaganza.The FIFA 19 FUT Birthday event will be available on PS4, Xbox One, and PCs. If you want to get hands on those rare Players Cards as soon as possible, there must be tons of FIFA 19 Coins stacking up in your FIFA account.